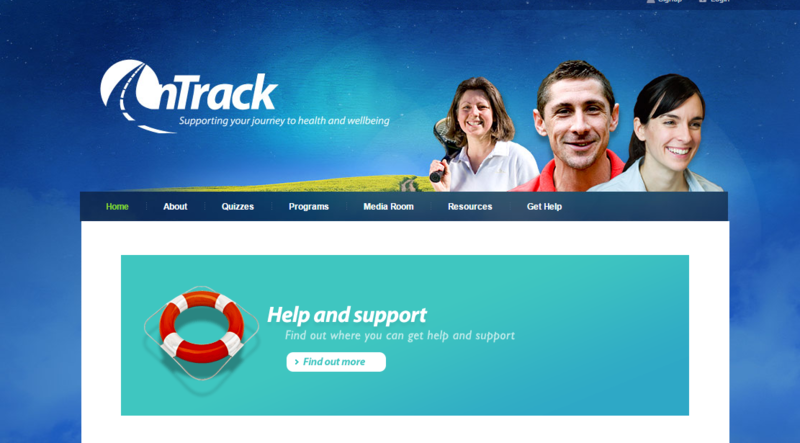 OnTrack is a self-help website that offers programs intended to help users achieve mental and physical health and well-being. Among the assortment of programs offered by OnTrack, our review covered three programs that support users with depression and/or alcohol-related problems: depression (intended to help users recover from depression and/or prevent a relapse); alcohol (intended to help users decrease their alcohol consumption); and alcohol and depression (intended to help users improve their mood and reduce their alcohol consumption). Each program contains modules (text and video) and exercises designed to be completed at the user’s own pace. Each program provides psychoeducational information; helps users to set goals for change and plan the first steps toward achieving these goals; informs users about practical skills that can be applied in daily life; and helps users build a support team. The interactive exercises require users to enter information about their own life situation and brainstorm strategies for applying skills in their daily lives. Programs also include a personal diary to record drinking, mood, and personal events; graphs that show users’ progress over time; and summaries of what the user has completed so far in the program. While users can skip modules, the developers suggest completing the program in the intended order. Furthermore, the developers recommend that users log into the program at least once a week to track their drinking/mood and repeat the exercises as needed, even after they have completed the program. Additional features (which do not require registration for access) include fact sheets and external links to websites on depression and alcohol-related problems; quizzes to assess users’ risk level for depression and alcohol-related problems; and advice on how to find help for mental health concerns, substance abuse problems, and relationship issues.